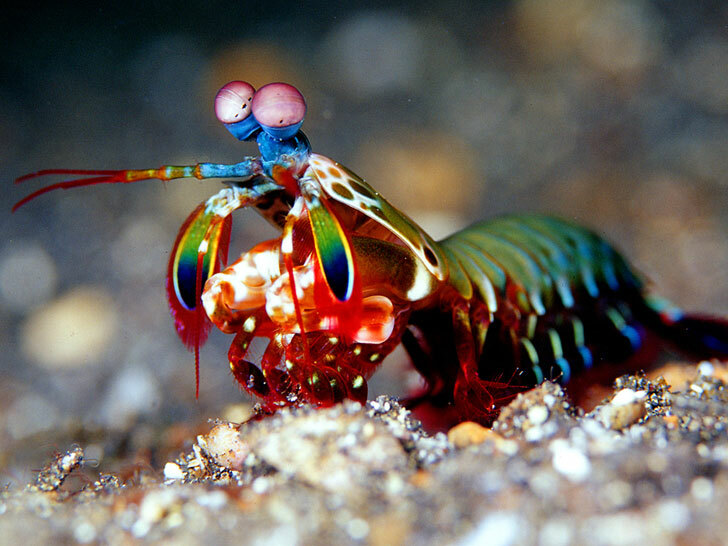 With its technicolor carapace and bug-eyed expression, the mantis shrimp could pass for a character in a Disney movie. Don’t underestimate its appearance, though. Despite measuring a mere four inches, the underwater crustacean packs a mighty punch with its bright orange club, a fist-like appendage that smites prey faster than a 22-caliber bullet. Repeated blows, each one exceeding the force of 110 pounds, can crumble mollusk shells and crab exoskeletons, both of are renowned for their impenetrability. Learning the mantis shrimp’s secret, say researchers, could be the key to producing lighter, stronger body armor and vehicle frames. David Kisailus and his colleagues. 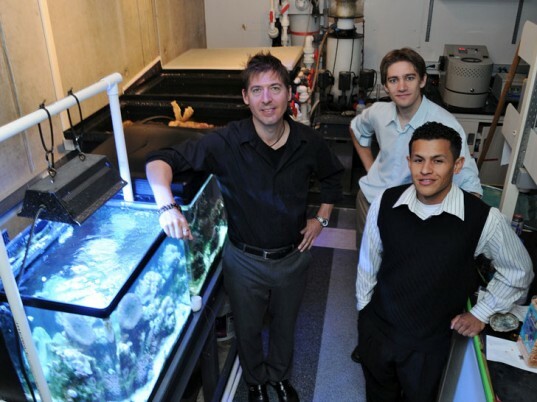 David Kisailus, an assistant professor of engineering at the University of California Riverside, teamed up with collaborators at Purdue University and Singapore’s Nanyang Technology University to uncover how the mantis shrimp can withstand 50,000 high-velocity strikes of its club—the equivalent of 50,000 bullet impacts—in its lifetime. Upon examining the structure, the group discovered three specialized regions that form a composite framework tougher than many engineered ceramics. The mantis shrimp’s club comprises three specialized regions that form a framework tougher than many engineered ceramics. The first region, located at the impact surface of the appendage, contains a high concentration of mineral, similar to that found in human bone. Further inside, highly organized and rotated layers of chitin, dispersed in mineral, absorb shock waves as they pass through the club. Finally, oriented chitin fibers surrounding the club buffer it from damage during these high-velocity attacks. “This club is stiff, yet it’s lightweight and tough, making it incredibly impact-tolerant and interestingly, shock-resistant,” says Kisailus. “That’s the holy grail for materials engineers.” If scientists can recreate the properties of the mantis shrimp’s club, they’ll have developed a far superior material than what we currently have available. A lighter-weight and more impact-resistant chassis, for instance, could result in electric cars with lower power consumption and increased driving range. With airplanes, a tougher shell with less drag would reduce fuel costs and repair bills. Kisailus, however, is mostly focused on improving military body armor, which can add 30 pounds to a soldier’s load. His goal: To develop a material that is one-third the weight and thickness of existing body armor.